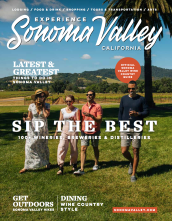 Sonoma, CA – A new study from Tourism Economics, an Oxford Economics Company, shows that tourism is an integral part of the Sonoma Valley regional economy, and the industry made significant contributions to economic growth in the last year. Visitors to the Sonoma Valley spent $377 million in 2017, which generated a total of $490 million in total business sales, including indirect and induced impacts. Tourism in the Sonoma Valley generated just over $60 million in tax revenues, including nearly $33 million in state and local revenues. Including direct, indirect, and induced impacts, 3,022 jobs were sustained by visitors to the Sonoma Valley in 2017, with total income of $132 million. 1 in 6 of all jobs in the region were sustained by tourism. Other findings of the report detailed that unlike economic sectors such as construction or financial services, tourism is not so easily measured because it is not a single industry. It is a demand-side activity which affects multiple sectors to various degrees. “Tourism” is in fact comprised of industries classified as retail, transportation, arts and recreation, accommodations, and food and beverage. As such, the economic activity of hospitality and tourism is not as easily captured or understood by the casual observer. The report was jointly commissioned by the Sonoma Valley Visitors Bureau and the Sonoma Tourism Improvement District to better quantify the industry within the region as well as to provide accurate data for decision makers and stakeholders. More information about the hospitality economy in the Sonoma Valley, as well as updated statistics, can be found at http://www.sonomavalley.com/media/stats/. The report is available in PDF form here: Sonoma Valley Region Tourism Economic Impact.